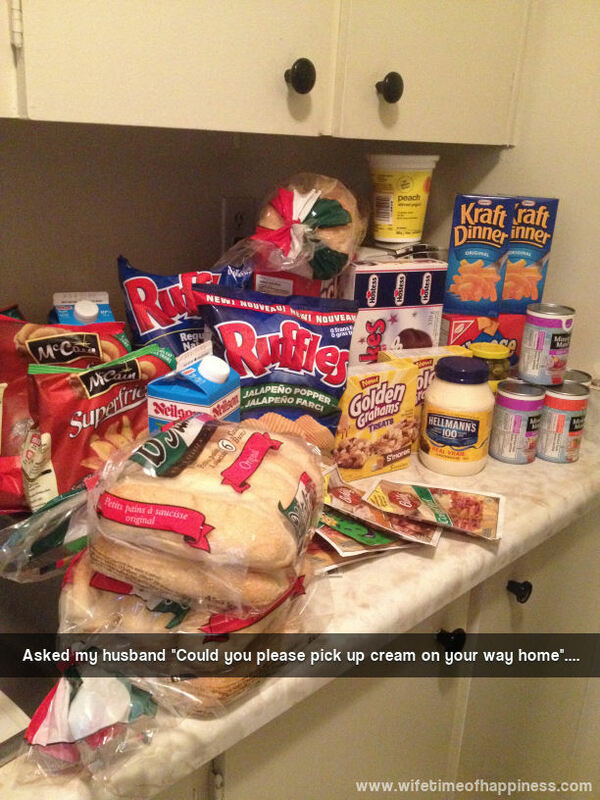 Husband Humor: Could you please pick up some cream? 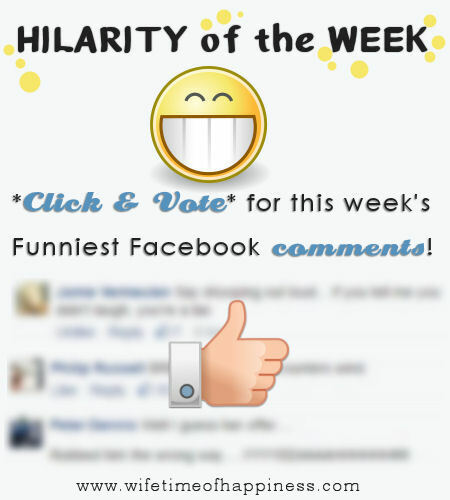 This entry was posted in Fun & Games, Husband Humor and tagged cute husbands, funny hubby, funny husband, funny marriage, funny wife, Marriage Humor, marriage jokes, spouse humor. 10 Creepy Superstitions: Goosebumps Trigger. 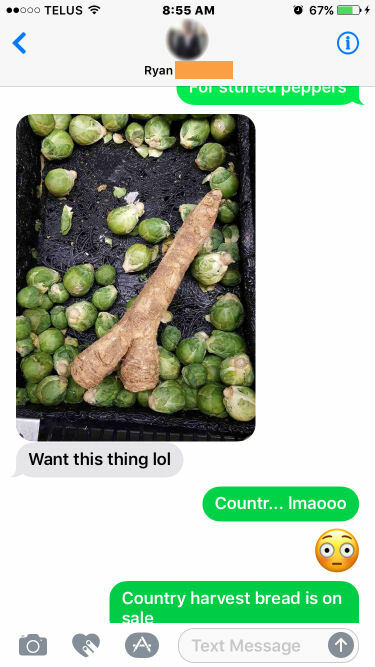 1, 2, something's coming for YOU. 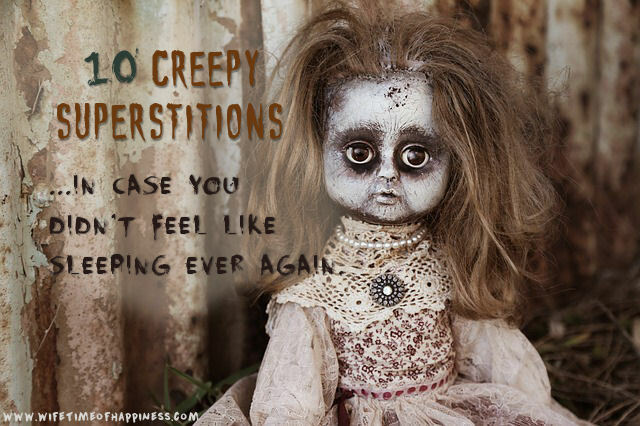 These creepy superstitions are guaranteed to have you paranoid for life! This entry was posted in Fun & Games, Halloween, Seasonal: Fall and tagged creepy superstitions, old time superstitions, scary superstitions, superstitions about death, superstitions about marriage. 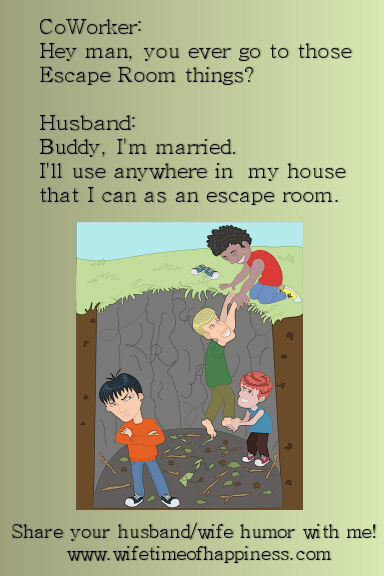 This entry was posted in Fun & Games, Husband Humor and tagged buy escape room game, escape room board games, escape room games, escape rooms, funny husband, funny husband jokes, funny husbands, funny marriage, funny wife, Husband Humor, Marriage Humor.